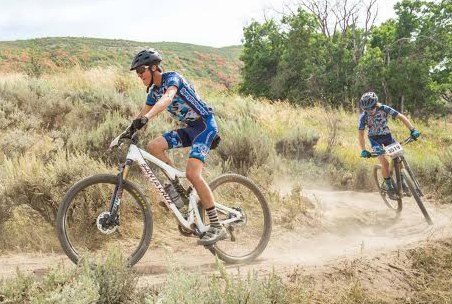 ST. GEORGE — A unique high school sporting concept originated with creation of the Flying Monkeys mountain bike racing program six years ago. It was a radical departure from mainstream athletic team structures with no tryouts, no benches and no team size limits. Members could earn their spot on the team just by participating. At its inception in 2012, there were four or five team members. Last year, there were some 200, Jensen said. However, the innovative program may have outgrown its popularity. Beginning this month, the Flying Monkeys team members will now represent six different Washington County high schools. Teams will be formed at Crimson Cliffs, Desert Hills, Dixie, Hurricane, Pine View and Snow Canyon high schools. They will compete under the guidelines of the Utah High School Cycling League, operating under the National Interscholastic Cycling Association. Teams at Cedar High and Enterprise also will be created, but will not be part of the new alliance. Jensen, who will coach the Dixie High School team, said the new structure will follow the program’s initial guidelines including one key principle: inclusiveness. “On the whole, we will embrace that under this new program” he said. The Flying Monkeys nonprofit organization will continue to exist to provide financial support and leadership guidance, but will not play an active role with the Utah cycling league, nor will it have any athletes racing under its name, according to the former team’s website. Jensen noted the staff and coaches were aware of the changes last season and began an intensive training program of staff and coaches to prepare for this year’s new format. “There’s a lot of enthusiasm to get started,” Jensen said. Registration for this season’s teams closed July 24 and the first race of the 2018 season will be Aug. 25 in Kamas. Where are all the Flying Monkey jokes? Man, this is ripe for ’em !